The Trifecta Toolbox 2.0 tonneau cover works with most 18-20" toolboxes. This allows full access to the toolbox while keeping the cargo in your truck bed protected. 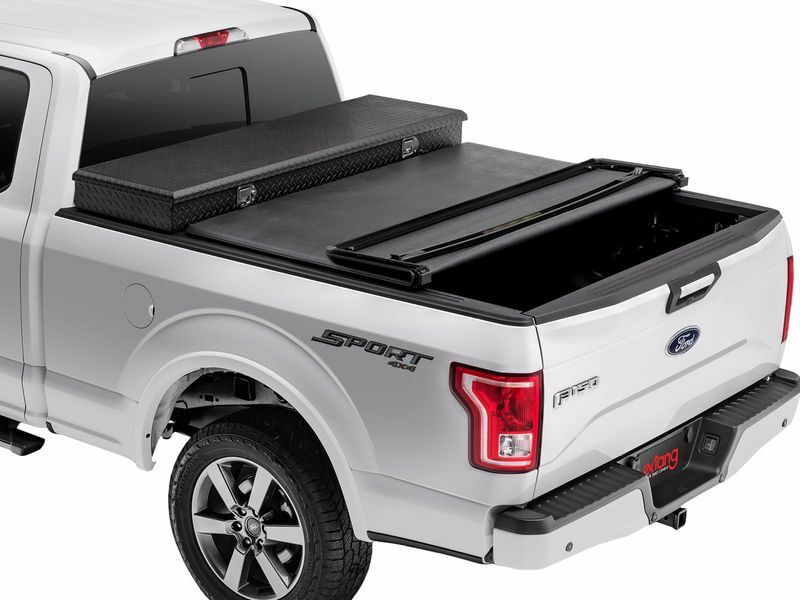 The patented L-Channel bracket uses a weather-tight seal to bond the tonneau cover to the toolbox. This fills the gap to create a solid fit to keep the elements out. The Trifecta Toolbox 2.0 uses an aluminum frame and support bars along with premium grade, leather grained vinyl. The MaxHinges feature a double pivot design for extreme durability and sealing. Re-Engineered, the EZ-Lock Clamps now require less physical effort to open, and they self-lock when clamped down to the bed flange.